Laojia Yi Lu is the oldest surviving of the Chen style forms. It was created from a synthesis of five of Chen Wangting's early routines. It is used to develop the basic principles of movement, a format for teaching a student how to move correctly. 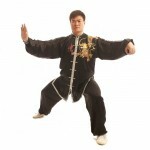 It is a complex training tool and forms a framework for developing the martial skills of Chen Style Taiji. 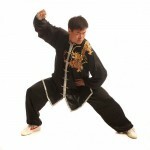 The Laojia Yi Lu is the form from which all other taiji styles developed. It is considered to be the foundation form for all other taiji forms. 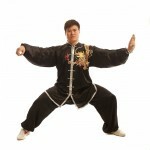 The great masters of Chen style are said to have practised this form upwards of twenty times daily. The 74 movement listing below was corrected by Wang Haijun with the invaluable assistance of Aarvo Tucker translating and making Pin Yin spelling corrections. Wang Haijun’s interest is only in this type of detail in so far as it helps students grasp the skills of Taiji. (The English translations have not been reviewed yet). Nick Gudge teaches Chen style tai chi classes in Limerick.